Emily Chang | Bloomberg Media Talent | Bloomberg L.P.
Mark Zuckerberg. Jack Ma. Bob Iger. Aaron Sorkin. Susan Wojcicki. Emily Chang, the San Francisco-based anchor and executive producer of “Bloomberg Technology,” has interviewed them all – and many more. 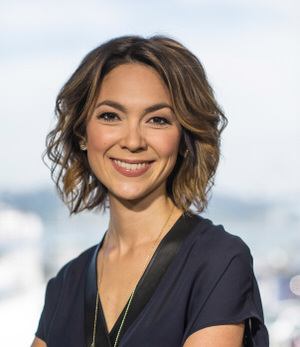 Emily Chang is the San Francisco-based anchor and executive producer of “Bloomberg Technology,” Bloomberg Television’s weekday technology program airing at 5 pm ET / 2 pm PT from the network’s San Francisco studio. She is also the author of “Brotopia: Breaking Up the Boys’ Club of Silicon Valley,” published by Portfolio Books in February, 2018. Chang reports on global technology and media companies and the startups that may become them. She regularly speaks to top tech executives, investors and entrepreneurs, including Apple CEO Tim Cook, Facebook CEO Mark Zuckerberg, Facebook Chief Operating Officer Sheryl Sandberg, Google Executive Chairman Eric Schmidt, Twitter Co-Founder Jack Dorsey, Disney CEO Bob Iger, and Alibaba Founder and Executive Chairman Jack Ma. She is also the host of Bloomberg Television’s interview series, Studio 1.0, where she’s interviewed Andreessen Horowitz co-founder Marc Andreessen, YouTube CEO Susan Wojcicki, author Malcolm Gladwell, screenwriter Aaron Sorkin, and Megaupload founder Kim Dotcom while he was under house arrest at his New Zealand mansion, among others. Currently, she sits on the board of BUILD, a national non-profit organization that uses entrepreneurship to excite and propel disengaged, low-income students through high school to college success. Before joining Bloomberg in 2010, Chang served as an international correspondent for CNN in Beijing. There, she reported on a wide range of stories, including the 2008 Olympics, President Obama’s first visit to Asia and North Korea’s nuclear ambitions. She also reported for CNN in London, where she covered international news for CNN’s “American Morning” program. Prior to joining CNN in 2007, Chang served as a reporter at KNSD, NBC’s affiliate in San Diego, California. There, she filed reports for MSNBC and won five regional Emmy Awards. She started her career as a news producer at NBC in New York.